Grass Roots Eventcom's client services director, Lindesay Brown, is leaving the company amid a managerial restructure. Top-level changes at the company have also seen operations director Karen Giles switch to the role of group operations manager. Grass Roots Eventcom managing director Nick Bender said: "Like any business, we look at the work coming and management costs, and every now and again it's good to have a sanity check, and as a result of that we have made some changes. "Lindesay Brown has left and that is sad because we wanted him to stay. Karen Giles has moved to a more client-facing role as group operations manager." Bender added that the company was not forecasting "wholesale redundancies" in 2010. "We will cut jobs if work falls away," he said. "You have to balance your workforce with the work you can see coming in. Over the past 12 to 18 months, we have managed very sensibly with no bonuses, no salary increases and headcount freezes. That has helped us avoid major redundancies," he said. "We are strong, we have a good balance sheet, we are profitable and we are in good shape going into 2010." 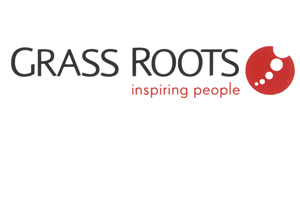 Grass Roots Eventcom's latest financial statement, for the year ending 30 June, 2009, showed that turnover fell 17.4% from £42.9m in 2008 to £35.4m in 2009. Pre-tax profit was down 37% from £1.2m to £772,00. Gross profit had decreased by 17.2% to £8.5m, said the report, but gross profit margins were maintained at the previous level of 24.1%.